I Support Adoptions (ISA) is excited about this single-most easy and effective way for you to help raise money for our cause at no cost to you by shopping online at GoodShop! When you shop with GoodShop, a percentage of your purchase is donated to our cause. 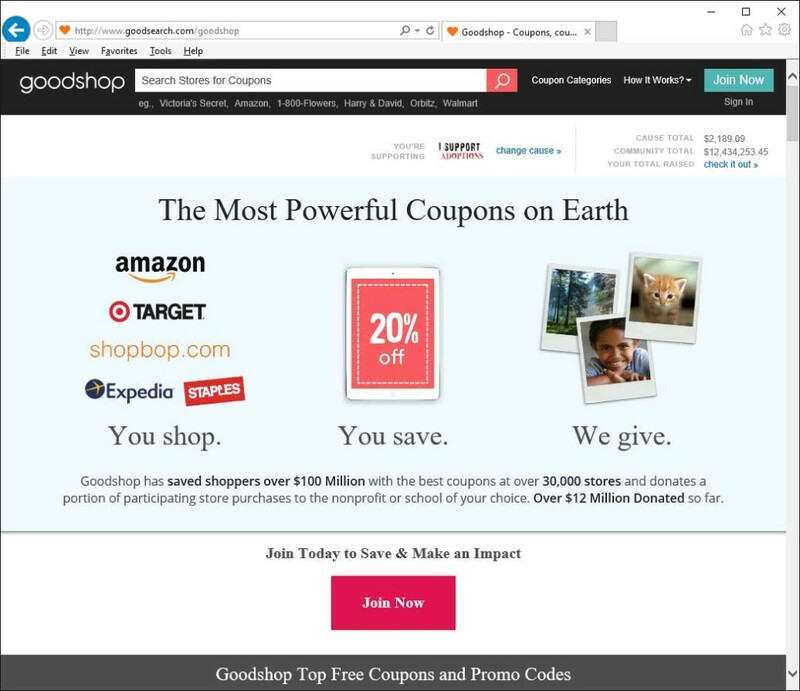 GoodShop works with more than 5,000+ stores to provide the best deals and coupons and the top stores also donate up to 20% of your purchase back to ISA. GoodShop has already raised more than $11 million dollars for various non-profits! ISA alone has received more than $2,100 for our cause and is raising more every day. The impact you make by shopping for ISA online at GoodShop is invaluable! All of the money raised will go directly in grants for adoptive families. Our supporters can shop at their favorite stores, get the best deals at each and give back to at-risk children. What could be a better deal?! When you shop with Goodshop you don’t just save. You also give, at no extra cost. Please visit the Pick a Cause page and choose “I Support Adoptions” as your charity of choice we would really appreciate it! You can use GoodSearch to look for your favorite products and related coupons to save you money. And when you find what you are looking for just make sure that iSupportAdoptions is located in the “You’re Supporting” section. If you decide to make a purchase then a percentage will go to iSupportAdoptions. When you use GoodSearch Coupons you get the latest coupons and offers at thousands of top retailers. Then when you shop with Goodshop, a percentage of your purchases is donated to your chosen cause at no extra cost to you.